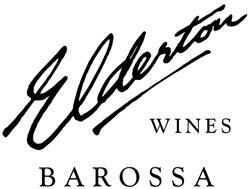 The vineyard that is today known as Elderton, was first planted in 1894 by early German settlers, the Scholz family. In 1916, it was purchased by Samuel Elderton Tolley who built himself a sprawling homestead on the Estate and sold the fruit to his family's winery. In 1975, the descendants of Mr Tolley decided to place the vineyard on the market. Due to the very tough times that the Barossa was enduring, there was no interest in the property from local growers or wineries and it remained on the market becoming more derelict annually. "If you buy the house, I will give you the surrounding 72 acres of old vines for nothing". This was the proposal offered to Lorraine and Neil Ashmead in 1979. The rambling old homestead looked ideal for a growing family and the Ashmead's worked tirelessly to salvage and restore a phenomenal treasure of a vineyard. Robert Parker 91"The 2006 Cabernet Sauvignon Nuriootpa exhibits an enticing nose of cedar, spice box, black currant, and blackberry. Layered on the palate, it has intense flavors with good concentration and balance. It will evolve for several more years!" Robert Parker 91 "The 2006 Shiraz Nuriootpa was sourced from 60-year-old vines. Deep crimson-colored, it has an already multifaceted perfume of smoke, black pepper, bacon, and blueberry. This leads to a smooth-textured, ripe Shiraz with layers of savory fruit, soft tannins, and a pure finish.